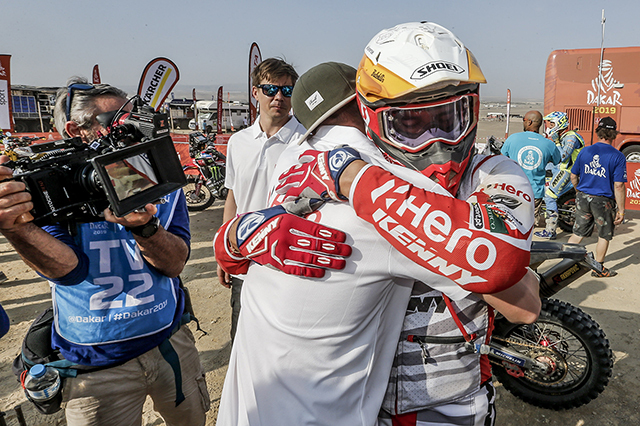 This year the Dakar Rally was 100 per cent Peru and that meant a lot of sand throughout the 12-day event and our very own, home-grown rally team Hero MotoSports have done the country proud by achieving remarkable results. 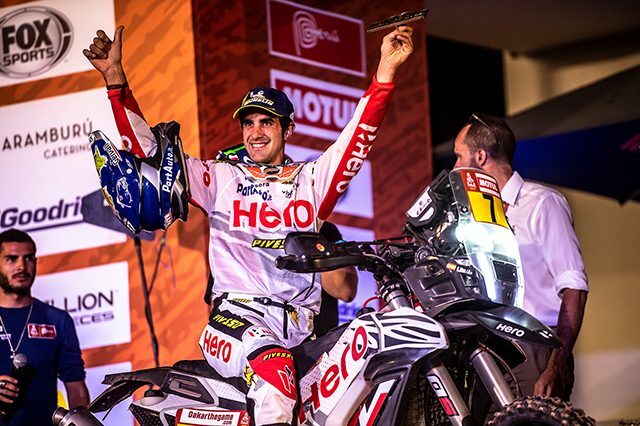 The journey was tough for all three riders but their determination to conquer the extreme terrain of Peru was greater than the challenges posed by the rally. Here is how the team went up and then down and then up again. 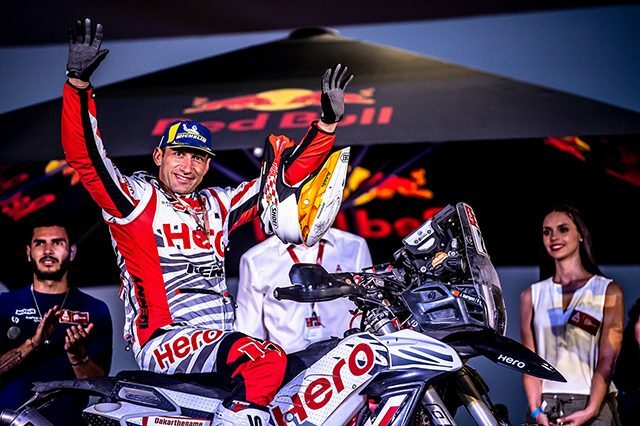 Hero MotoSports third outing at the world’s most gruelling rally raid was a spectacular one as the team saw some really interesting results in the stages and also some not so forgettable moments. 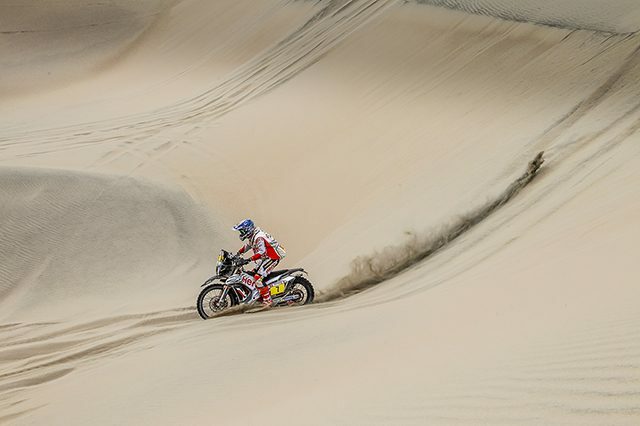 This time the entire rally happened in Peru, which is known for its beautiful but challenging and extreme sand dunes and most of the stages saw riders tackle this tricky terrain. 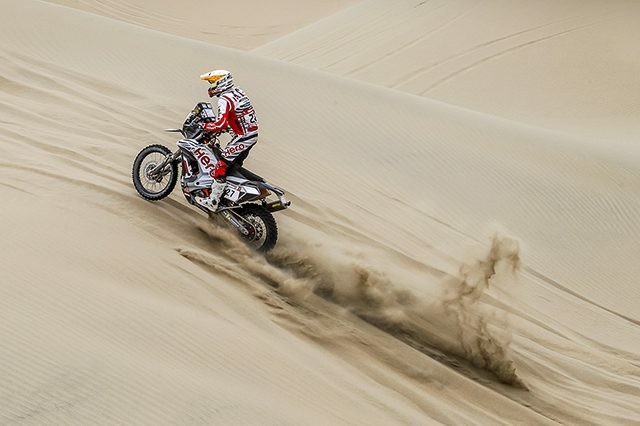 This year’s Dakar began on a high note for Hero MotoSports as the team’s Spanish rider Oriol Mena gave a superb performance on the very first stage and ended the day in 14th position, which is remarkable. Behind him was our very own Indian rider CS Santosh, who made the team proud by finishing 20th after stage one. Hero’s third rider, Joaquim Rodrigues (J Rod), who suffered a bad crashed last year and was still recovering from an injury caused during the crash, was just three positions behind Santosh in 23rd place. The second stage, however, wasn’t that easy for the team as Mena dropped further back as he finished 16th, which saw him drop down to 14th place in the overall standings. 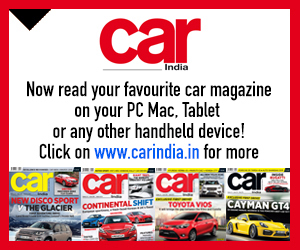 Joaquim Rodrigues too ended the second stage down the order in 33rd place followed by CS Santosh in 36th place. Their overall ranking dropped as well. However, this did not stop the trio from pushing forward in the following stages. Stage three proved to be better for Oriol Mena who pushed harder and rode consistently well throughout the 798-km stage to cross the finish line in eighth place, which gave him an edge in the overall standings, pushing him to 12th overall. 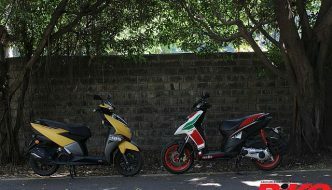 However, the other two riders were not as fortunate. 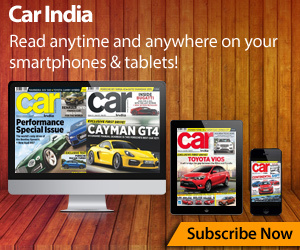 J Rod, ended the stage in 46th place whereas CS Santosh came home in 64th place. Stage four saw Mena finish just outside the top-10 in 11th place, whereas J Rod and CS Santosh both bettered their previous days results in 30th and 51st place respectively. However, the most gruelling and challenging stage was the fifth one, many participants were caught by surprise by rocks hidden in the sand. These rocks and the ever-changing sandy terrain caused a lot of riders to crash and retire. 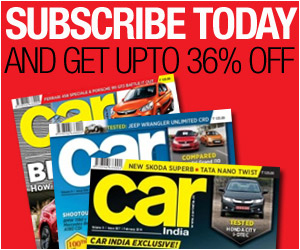 Unfortunately, Hero MotoSports’ CS Santosh also fell victim to the arduous terrain and crashed out of the rally. Fortunately, Dakar officials were around the crash site and they were quick to airlift Santosh to the hospital where doctors examined him and later declared that he was not in any danger. However, his third Dakar outing came to an end because of the crash. 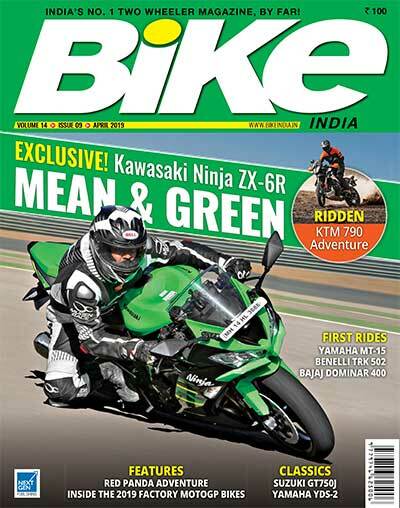 This was quite a disappointment for the team, however, there two of their riders were still in the running and both of them were upping their pace for the remaining stages. On the very same stage where Santosh retired, Mena finished 17th whereas J Rod made massive progress ending the stage in 18th place. This excellent finish also meant that the Portuguese rider had moved up to 28th in the overall standings. Mid-way through the rally, Mena was in 12th and J Rod was in 28th and after the rest day, both the riders were raring to go, hoping to better their results further. During stage six, Mena finished 20th whereas J Rod ended the day in 30th place. However, come stage seven, both the riders were on fire and were conquering the dunes of Peru on their Hero 450RR in style. Mena and J Rod both were in the top 20 during the last four stages, which helped them move up the order in the overall standings with each passing stage. 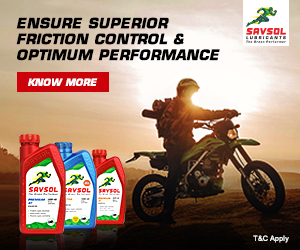 As the rally approached the end, Mena made it very clear that he was going to emerge as the top Hero MotoSports rider at Dakar this year and he proved his mettle by finishing the last stage in 17th place which was good enough to elevate him to ninth overall in the final standings. 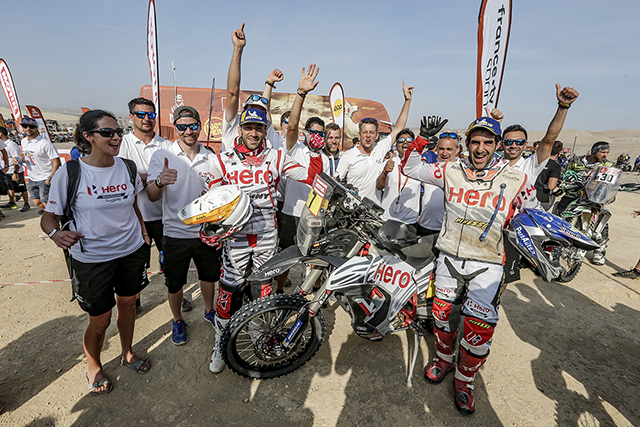 It was a proud moment for the team as also for Mena, who finished the world’s toughest rally raid within the top 10; one that included Dakar legends like Toby Price, Matthias Walkner and Sam Sunderland. Mena’s overall timing was an impressive 36 hours, five minutes and 57 seconds. 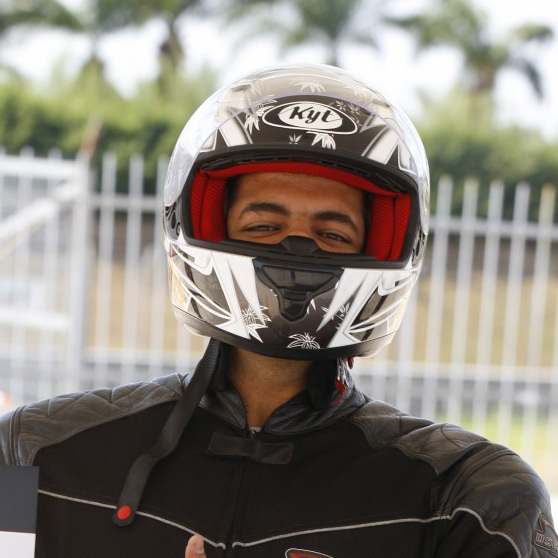 Hero MotoSports’ second rider, J Rod, also made the team proud by crossing the finish line ahead of Mena on stage 10. His overall ranking, however, was a notable 17th and he was able to achieve this while recovering from an old injury. This clearly shows J Rod’s immense passion for Dakar.